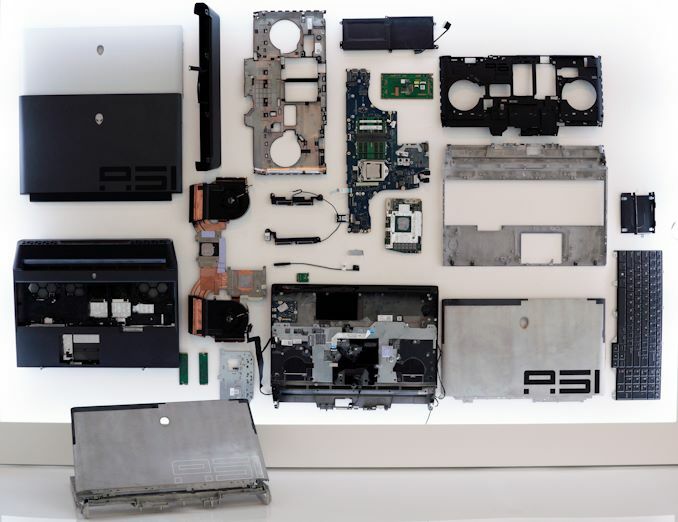 In the recent years a number of PC makers have introduced desktop replacement-class notebooks with processors originally developed for desktops. Meanwhile, large OEMs tend to be more conservative and kept using mobile CPUs for their high-end laptops. 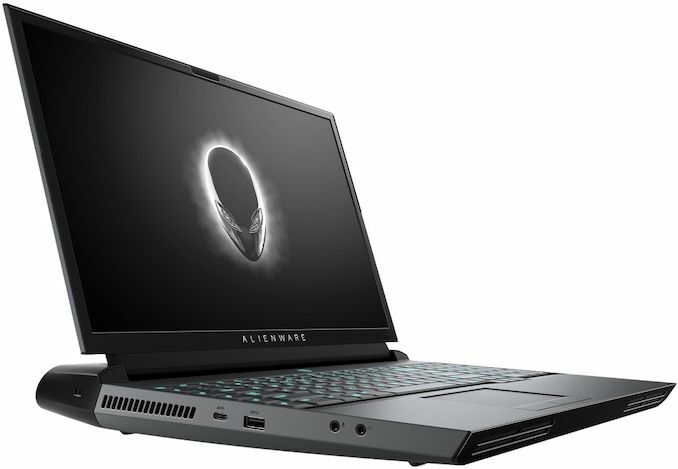 However, there is a first time for everything and this month Dell’s Alienware announced its first DTR notebook featuring Intel’s desktop six-core and eight-core processors. In fact, the Area-51m was specifically designed to offer high-end performance with few (if any) compromises. 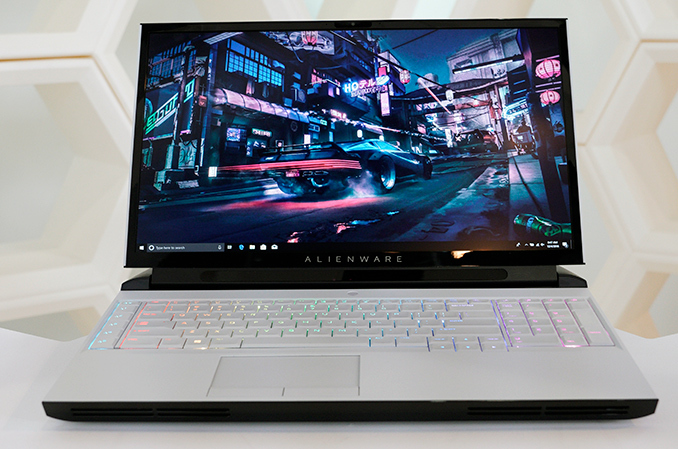 Being a DTR machine, the Alienware Area-51m does away with any notion of "small." This starts with the screen, which is based around a 17.3-inch IPS display panel featuring a Full-HD resolution, 300 nits max brightness, as well as a 60 Hz or 144 Hz refresh rates. Dell is even offering models with G-Sync variable refresh functionality, depending on the exact SKU (see the table below for details), and higher-end versions of the Area-51m displays also feature Tobii eye-tracking. Past that, since many DTRs are used with external monitors, Dell did not necessarily need to equip its flagship gaming notebook with an Ultra HD LCD, especially given the challenges in driving that kind of a resolution in many games. 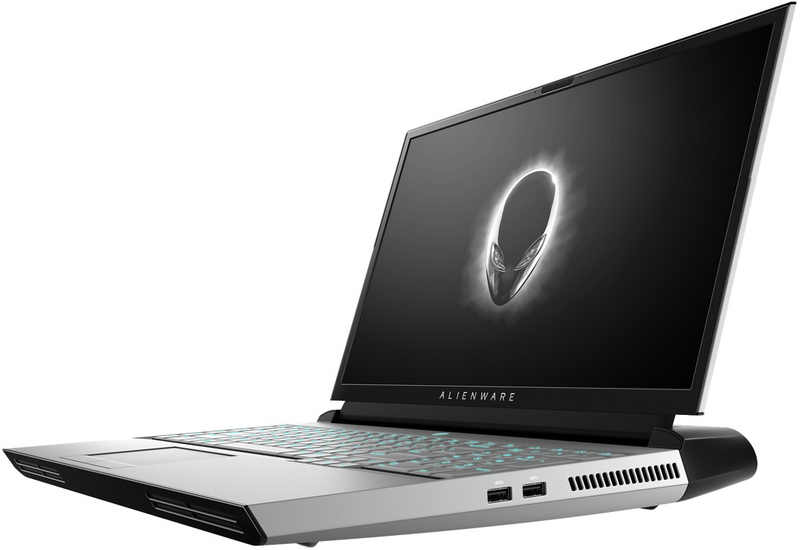 As noted, Dell’s Alienware Area-51m R1 is based on Intel’s LGA1151 Core i7/i9 processor with six or eight cores as well as Intel’s Z390 chipset. On the graphics hardware side of things, the system is equipped with NVIDIA’s GeForce RTX 2060/2070/2080 graphics adapters in Dell’s proprietary form-factor, so while the graphics adapter can technically be upgraded, right now at least it can only be switched by the manufacturer itself. To cool down the CPU and GPU, Dell uses its proprietary Cryo-Tech v2.0 cooling systems comprising of two fans featuring two intake and two exhausts as well as eight thick copper-composite heat pipes (four for the CPU and four for the GPU). 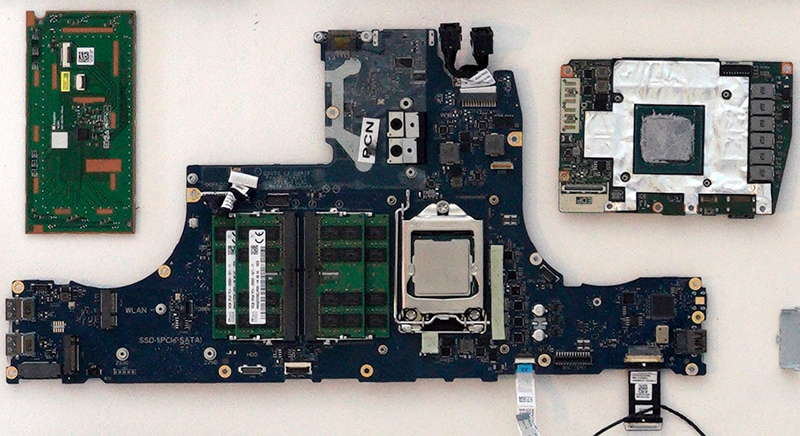 The system has four DDR4 SO-DIMM slots supporting up to 64 GB of DDR4-2400 memory. As for storage, the Area-51m can work with up to three M.2 PCIe 3.0 x4 drives as well as a 2.5-inch HDD/SSD. So, depending on the exact model, the notebook can use one, two, or three storage devices. As for connectivity, the Alienware Area-51m offers similar options as other notebooks from the brand. The laptop is equipped with a Killer Wireless 1550 2x2 802.11ac and Bluetooth 5.0 controller, a Realtek-enabled 2.5 GbE jack, one Thunderbolt 3-enabled USB-C port, three USB 3.0 Type-A ports, two display outputs (mini DisplayPort 1.3, HDMI 2.0), 3.5-mm audio jacks, and an Alienware Graphics Amplifier port for proprietary external graphics solutions. 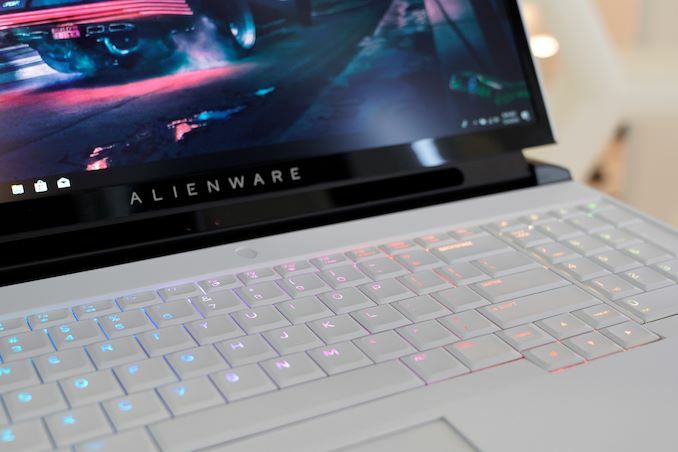 The notebook also features an RGB-backlit keyboard with a numpad and a 2.2 mm travel distance, a 720p webcam, stereo speakers, and a microphone array. Traditionally for Alienware laptops, they come in a very stylized chassis featuring a futuristic design. The Area-51m will come in Lunar Light as well as Dark Side of the Moon colors schemes, with both enclosures outfitted with an AlienFX customizable RGB lighting (power button, alien head, infinite loop in the back). 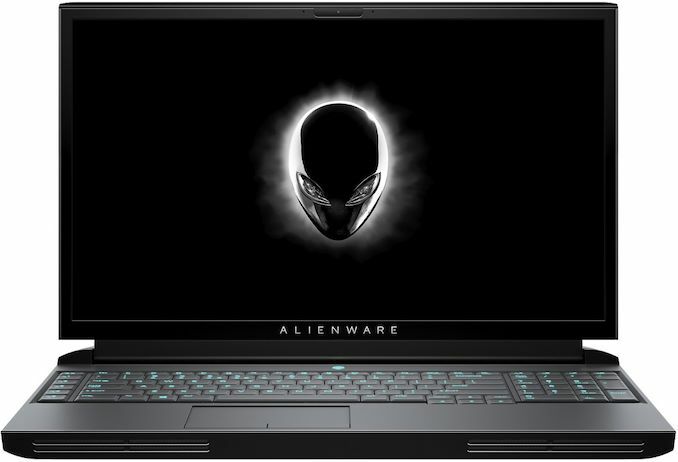 Being a DTR laptop, the Area-51m is not intended be lightweight and portable, so Dell comes in heavy at 3.87 kilograms (8.54 pounds), which despite the weight is actually lighter than some other machines of this class. The laptop is also up to 42 mm thick, considerably thinner than some of its rivals. And despite the (relatively) thin profile, the Area-51m still packs a 90 Wh battery; though Dell isn't specifying just how long the laptop will actually last on a charge. Also of note: due to the sheer power requirements of the high-end laptop, Dell is actually splitting up its power consumption over two power adapters. Modest models will come with two 180 W PSUs, whereas high-end configurations will come with a 180 W PSU and a 330 W PSU. Other I/O Microphone, stereo speakers, audio jacks, trackpad, Alienware Graphics Amplifier port, etc. 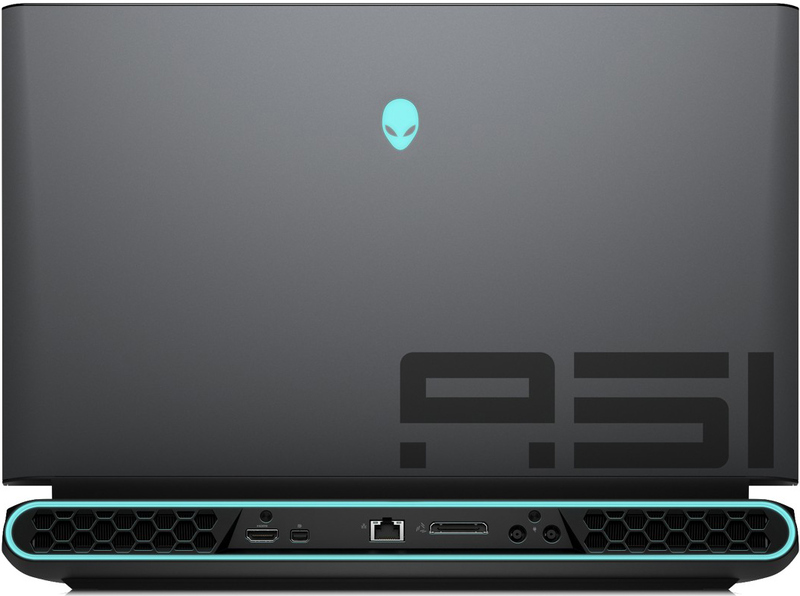 The Alienware Area-51m DTR laptops are now available for pre-order and will ship later this month. The standard configurations cost from $2,520 to $4,220, but builds with all the bells and whistles will cost well beyond $5,000.